On Sunday, 7 December 1941, the US naval base at Pearl Harbor, Hawaii, was attacked by Japanese aircraft. For the next four years, Allied task forces engaged elements of the Imperial Japanese fleet throughout the ocean. Marines and army units began their program of island-hopping, wresting from the Japanese the empire that they had expanded in every direction. War in the Pacific is a multi-level simulation of the Pacific theater of operations during World War II. 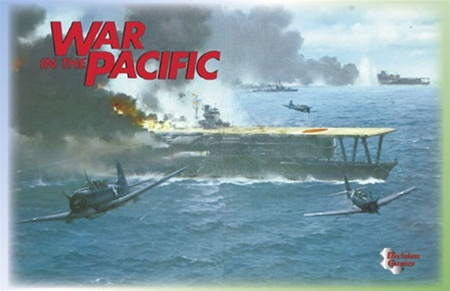 The game enables players to recreate the entire course of the war, form the opening Japanese attack on 7 December, 1941 to the climatic Allied assaults in the closing days of 1945. 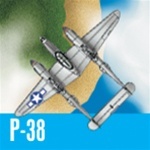 Representing some 30% of the globe, the strategic maps let players move and engage in combat on all levels: air, ground and naval. 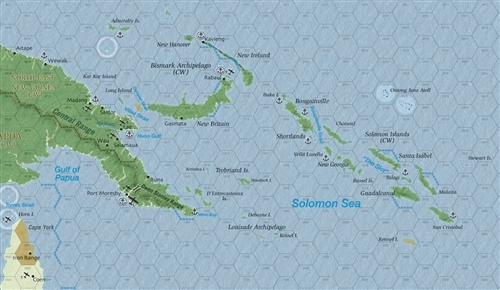 War in the Pacific is not a simple game; there are a number of rules and concepts that will, at first, be unfamiliar to a majority of players. But playing through smaller map sections and scenarios enables the player to become familiar with the mechanics of the game. This is a revamped version of the original game, transforming it (finally, at long last, and deservedly so) from "valiant-failure" status into a truly impressive monster game. Emphasis is now more balanced between the supply and command sides of the operational aspects of the war; though supply management and planning (now headquarters-based) remain vitally important, detailed and challenging tasks during each Strategic Cycle. Operational aspects are modeled much more accurately from a historic standpoint, as is the order of battle. Leaders on many levels (and whose combat performance may be unpredictable), often serve to limit players' ability to affect the outcome of every battle to the Nth degree. A player's assignment of the right task force commander (for the right force at the right time), may spell the difference between a tactical victory and defeat. 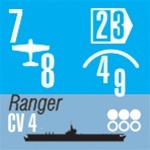 The ground combat system has been completely revised, substituting a step-loss system adapted from VG's "Pacific War." 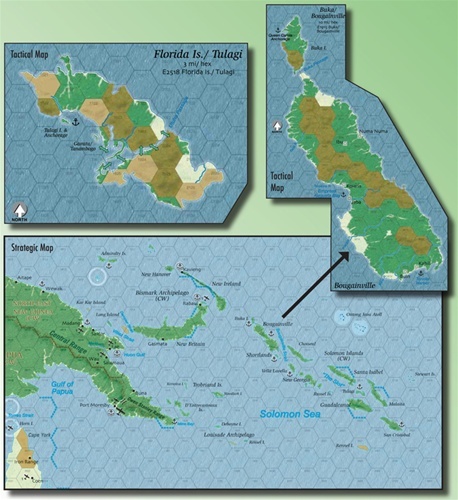 Pitched battles on islands and atolls are now resolved, including maneuver, on expanded tactical maps, rather than simply being abstractly imagined in a single hex. War in the Pacific's original air and naval systems are retained, in their essences, albeit with substantial modifications. Thus the game still feels like the original in those two chief aspects. Most importantly, extensive play testing has been an integral and indispensable part of this game’s development (unlike the original). On the same scale as the original, War in the Pacific remains a monster game, and is not for the faint of heart. But for devotees of the original game, or those who have always had a desire to explore the campaign in the pacific theater on a scale they've never before attempted, neither your money nor your time will have gone to waste. Components: 7 full size (22 x 34") strategic maps in full color, new tactical maps with nearly 338 individual islands for new ground units to fight over, 32 die-cut counter sheets, nearly 9,000 counters showing all types of units from the Pacific Theater, rule books, chart books and assorted displays and player aid charts. Includes the War in the Pacific Extension.